“Midnight Rider” was handled primarily by fiddler (and Isbell’s wife) Amanda Shires, with Isbell accompanying on guitar and vocals. Later, the whole band ripped through a raucous version of Allman’s classic “Whipping Post.” You can watch fan-shot clips of both below. 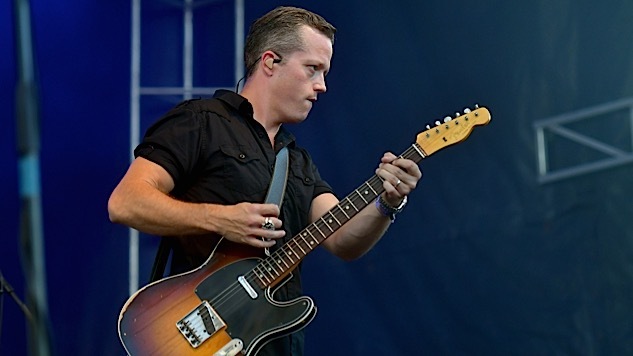 Also, read our recent interview with Isbell here, as well as our review of his fantastic new album, The Nashville Sound, here. And while you’re here, check out former Allman Brothers guitarist Derek Trucks’s tribute performance of “Midnight Rider” (along with Darius Rucker, Jason Aldean and Charles Kelly from Lady Antebellum) from the CMT Awards on June 8, here.